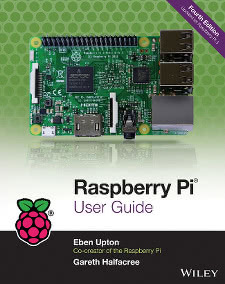 Linux User & Developer Magazine has just published a hefty extract from my interview with Raspberry Pi co-founder Eben Upton. Due for full publication in the upcoming Linux User & Developer Issue 112, the interview covers the reason behind forming the Raspberry Pi charitable foundation, the foundation’s relationship with Upton’s employer Broadcom and more. Eben’s a really great guy, and I’m massively appreciative of the time he took for this interview. Coming so close to launch, and while he was working on a dozen other things simultaneously, I know the demands on his time are legion. Hopefully Linux User’s readers will find it an interesting insight into some of the behind-the-scenes matters relating to the Raspberry Pi single-board computer. I know I did. The lengthy extract can be found on the Linux User & Developer Magazine website. UPDATE: Well, it looks like the piece has proven popular. So much so, in fact, that it’s been quoted by Forbes.